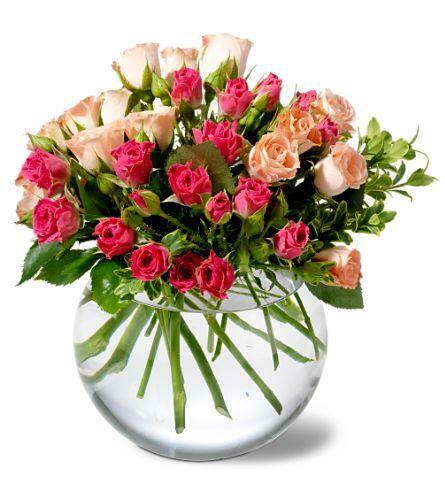 Everything’s coming up spray roses in this spectacular floral arrangement featuring mini-roses in two fabulous shades of pink. Lavish someone with a rose-colored week. 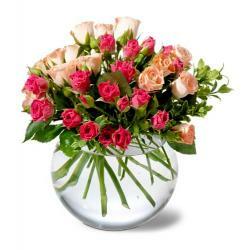 A clear glass bubble bowl filled with four stems each of hot pink and light pink spray roses.